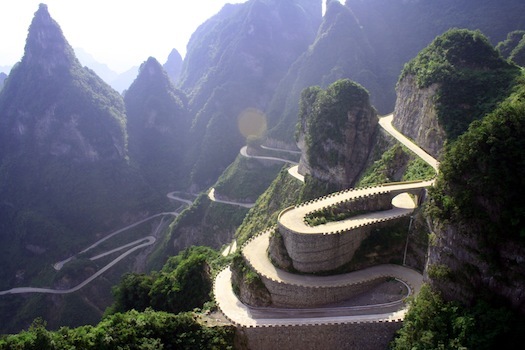 The Tianmen Mountain road in China is a beautiful, dangerous wonder. The serpentine roads traverse misty green cliffs and pointed peaks. There are 99 switchbacks leading up the mountain, many of which wrap around each other like a coiled snake. I found this image to be a striking portrayal of my spiritual journey in following Jesus. The path of spiritual transformation doesn't look like a straight-lined trajectory; it's a series of twists and turns, ups and downs, awe-inspiring while also risky. We revisit the places we once were, only we pass by with a more mature perspective as we're further along the journey. Alister: Our youngest son went through open heart surgery this past August. It's the most difficult experience my wife and I have encountered as parents. We hope we're on the far side of this suffering; our son is healed, and has the scars to show for it. He's approaching his first birthday in the next two weeks, and we're deeply grateful for the past year and the joy he brings our family. We're also thankful for a God who comforts and sustains in the midst of suffering and unknowns, who is with us and for us, even when the outcome is unclear. God loves our kids more than we do. We're finding hope in that reality. Cinemayward: I'm writing frequently for Cinemayward.com, my new website for all my film reviews and musings. I've been importing my old reviews from this blog to Cinemayward, and it's been fun to see how my writing and perspective has matured over the years. My first film review is this one for God Grew Tired of Us from August 2007; I've come a long way since that one. Check out all my reviews here. I've also launched a new downloadable resource with The Youth Cartel called CINE. Each CINE centers on a theme and features 4 films and discussion guides, which include games, discussion questions, and a devotional guide for small groups. So far, we have CINE: Christmas Movies and CINE: Superhero. Writing: I've both limited and expanded my writing, saying "no" to some projects while diving deeper into others. I've written two essays for Christianity Today Movies (here and here) in a series we're calling The Year in Liturgical Cinema, following the Christian calendar and connecting films to the theological themes that emerge. I also wrote a chapter on the film Something, Anything for an e-book, Christ and Pop Culture Goes to the Movies: 2015. It's a phenomenal collection of 15 essays from the fine folks at Christ and Pop Culture. I'm working on essays for Reel Spirituality at Fuller, and continue to write book reviews and articles for Youthworker Journal. 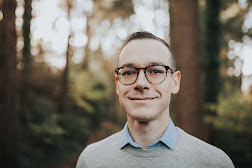 Ministry: As of this month, my temporary interim role as the high school director at Lake Grove Presbyterian Church has taken a bit more of a permanent status--I'm working there 3/4 time while finishing up my masters degree at George Fox Evangelical Seminary. Lake Grove has been a wonderful community of mission- and discipleship-centered followers of Christ. As I'm still learning much about the Presbyterian world and culture, I'm enjoying this season of being back in a youth ministry role. PhD: Through the past year of being in seminary and going through a significant vocational discernment process, climaxing in our church planting assessment, it's become more and more clear that I'm gifted and passionate about teaching and equipping people. I love writing, researching, teaching, communicating, guiding, nurturing, and enlightening others, particularly the emerging generation (i.e. youth and young adults). I find that I'm thriving in an academic environment. I'm also finding that many, if not most, of the youth ministry and pastoral folks I encounter *aren't* wired this way--they're not as thrilled about the academic/education process as I am. I want to be a good steward of the gifts I've been given, as well as find my "fit" as a member within the body of Christ. So, I'm taking steps to pursue PhD studies in theology and religion, and I'm especially interested in subjects like the intersection of film, ethics, theology, and spiritual formation. One of these steps involves visiting the University of Kent in Canterbury, UK. Katie and I will be traveling to the UK in May, both to explore the potential of doctoral studies and as an early celebration of our 10-year wedding anniversary. My ultimate goal is to teach at the university and/or graduate level, though that's certainly a few years off. You can be praying for us--if we do go the route of PhD studies, it'll mean another big move (there aren't any theology PhD programs in the Pacific Northwest), at least 3 years in a new (possibly international) location, and we'll need some financial help (hopefully in the way of scholarships or job opportunities). It'll also be a significant move for our kids--moving three kiddos, especially one with past heart disease, is daunting. But we're also willing to take the step of faith and go on this adventure together. And it's quite the adventure God is leading us on. We're still unsure where it ultimately leads. Lots of winding paths and unknowns, but certain to encounter beautiful vistas and moments of awe and clarity. One certainty that gives us comfort is Christ's presence and grace throughout the adventure. We're stepping forward in faith. We want to live a great story. I hope we're doing it. My take away from all of this is... yes, yes there is a chance you could be moving to Kenya to be our neighbors. I will look around for a PhD program in the area. Still Great-full for you being a part of my story. Thanks Mark! If you find a solid theology PhD program in Kenya, let me know. Praying for you and your family as you serve Jesus together! Thanks for the honesty and openness in this whole thing. Also, thanks for continuing to invest in our relationship. I could say all the same things back to you--thanks for your friendship, honesty, and support in my life!